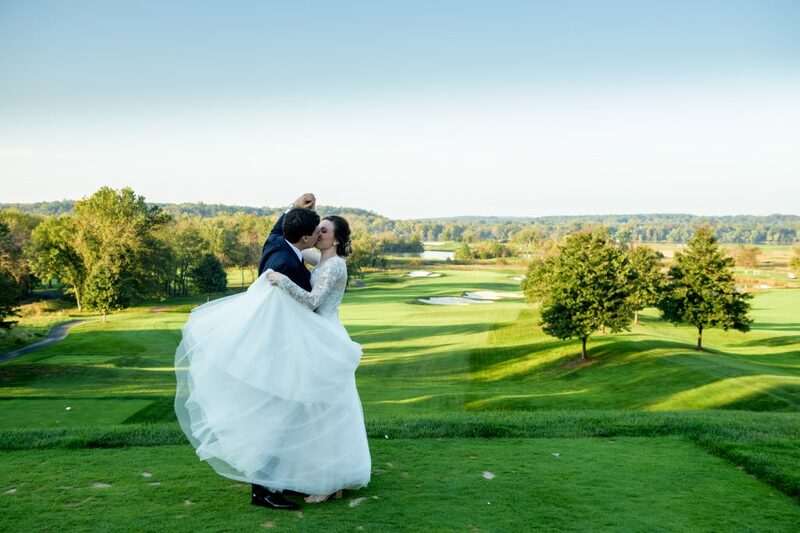 Katelyn and Ryan recently traded vows at the Trump National Golf Club, on what ended up being an absolutely picture-perfect autumn day. The now-married pair met back in college, after Ryan had shown up to a crowded class and couldn’t really find a seat. Katelyn, out-of-the-blue, told him to sit next to her, and the rest is history. Katelyn and Ryan opted for a first look and it was everything that a first look should be. The moment took place out on the golf course, which was an exceptional backdrop for beautiful photos throughout the entire day. Ryan was completely smitten with his blushing bride, showering her in compliments, starting the very second he laid eyes on her. In fact, he couldn’t stop telling her how beautiful she was. Her Stella York gown was also a hit, for obvious reasons. As we’ve come to expect from Sarah and her staff, the reception was, once again, perfect. From the beautiful tables to the gorgeous flowers and the amazing cake everything was across-the-board spectacular. It was really lovely to see these two enjoying their big day together, even more so because they were surrounded by their loved ones. After all of the dancing, breakdance battles and giving Katelyn a victory lap in a chair, the newlyweds didn’t bow out quietly when the festivities were over. They chose to leave the venue with a bang, exiting underneath a canopy of sparklers from their friends and family. Remember Brooke and Brian’s Old Town Alexandria engagement shoot? Well, their big day already arrived. 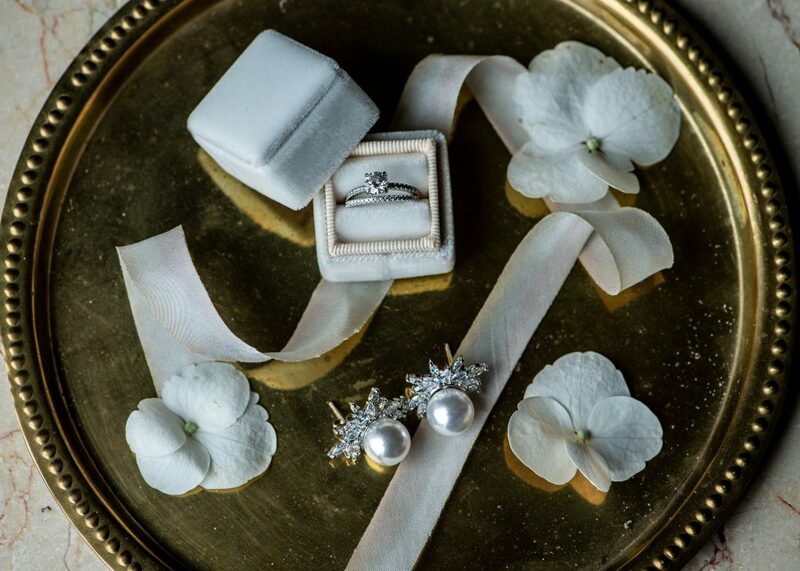 From their invitations to their décor choices, this duo impressed. Plus, their great taste made for some pretty wonderful shots. Brooke broke the mold by wearing a stunning long-sleeved L’amour by Calla Blanche gown. From the first look with her father to the tears in Brian’s eyes the moment he first set eyes on his soon-to-be wife as she walked down the aisle, it was obvious that Brooke and Brian’s wedding would be memorable. Sarah and the staff at the club put together another amazing dinner, and as per usual from Rick’s Flowers, the floral arrangements were all beautiful. The reception got off to a great start with an amazing toast by her father and an even more amazing choreographed dance between Brooke and her dad. Brian’s brother shared a funny story about Brian wanting to quit the swim team when he was a child. He even went as far as to write his parents a letter asking them to not make him go anymore. Funnily enough, Brooke is a teacher…but she is also a swim coach. We were able to sneak away for a few minutes and take full advantage of one of the most beautiful sunsets I’ve seen in a long time. With Bill Izer in charge of the music once again, it’s safe to say that Brooke and Brian’s loved ones really made the most of the dance floor. If it wasn’t for the sparkler exit they would probably still be celebrating! I knew that Hanna and Gary’s big day was going to be something special, after I worked with them on their engagement shoot session a few month ago. Gary rocked a crisp, navy blue suit, while Hanna wowed in a gorgeous, flowing wedding gown. Her dazzling hairpiece also grabbed attention, as it was worked beautifully into her up-do. Perhaps more importantly though, Hanna and Gary looked completely head-over-heels in love with one another. Lots of beams and smiles. Before the reception festivities officially kicked off, Hanna, Gary, and I slipped away so that we could capture a few photographs out on the golf course. More than once over the course of the day we were blessed with a huge rainbow, a sign from Hanna’s first husband, who passed away a few years ago. It was very moving. Once the party was underway their guests were more than happy let loose on the dance floor, which led to some memorable shots with Hanna’s father. And, in keeping with the grand tradition of Pittsburgh weddings, there was even a cookie table so guests could grab a delicious homemade treat on their way out. An amazing time was had by all, and I was so happy to be able to capture their wedding day. For the first time in team history, the Washington Mystics found themselves in the WNBA Finals this season. Thanks to my friends, and the team photographers, I was lucky enough to find myself at the Eagle Bank Arena for Game 3 against the Seattle Storm. My assignment for the night was to capture overhead, wide shots of the action and more behind the scenes footage of the players arriving, hanging out in the locker room and relaxing before the game. With the Storm already up 2-0 and the possibility of the Storm clinching the title at George Mason University we had to be prepared for team photos after. Stephen and Ned, the WNBA photographers, had an amazing makeshift studio setup in the arena for team, family and individual photos. Unfortunately for us, and the sold out crowd at Eagle Bank, the Storm won and the Mystics amazing season came to an end. Huge thanks to Stephen, Ned and the WNBA for bringing me on board for an awesome night! Brooke and Brian were awesome to work with. We went to Old Town Alexandria for their engagement shoot; I’m so glad they found the time to do this before their upcoming wedding date. Fantastic weather set the stage for what would be a lovely afternoon. For the occasion, Brooke wore a pretty, floaty white dress and red cowboy boots, while her soon-to-be-husband donned a simple but sophisticated blue shirt and khakis. This couple was honestly a blast to work with. At one point Brooke even asked at one point how awkward they were on a scale of one-to-ten. The goal by the end, of course, was to be the least awkward couple ever. 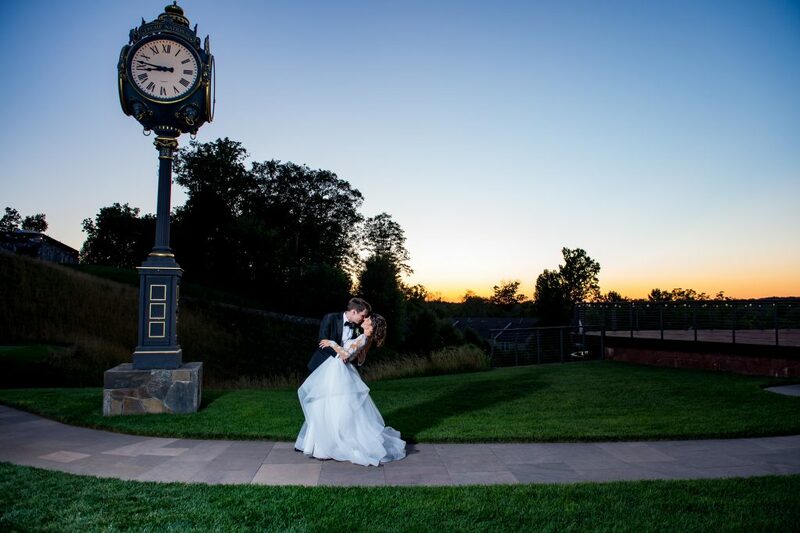 At one point, Brian gave his bride a little dip, and a kiss, in front of a vibrant yellow brick building, which made for a super sweet end-result. My personal favorite in terms of shots is…actually a tie. I keep bouncing back and forth between the pair embracing as the waves rippled behind them and the always popular Wilkes Street tunnel snap. I don’t know what the picture looks like so I don’t know if it is adorable, but YOU probably wouldn’t use that adjective for two grown folks.